The event registrants report is available on all Arlo service plans. The event registrants report contains a list of individuals enrolled on an event with details of the event, registration and order, and the event's registrants. This report can be scheduled to send to event presenters automatically, and can also be printed off in bulk for more than one event. The event registrants report is designed to accompany the attendance register report, and includes additional personal details of each registrant. From the Events section, select the Event Registrants report. From the toolbar, press Reports and select Event Registrants. Once you have chosen the columns you want to be included in your event registrants reports, press Save as default so that these settings are chosen automatically whenever you want to print an attendance register. If you have set up custom fields on your platform, these custom fields are available for you to add to the Event Registrants report. 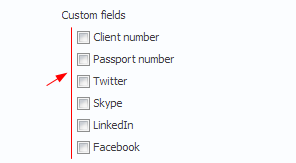 Read more about custom fields. Access all report settings on the report page by pressing Report Settings from the toolbar. From the custom fields section, select the fields you would like to add to the report. Note: You can run the report with a maximum of 20 custom fields per report. Run or export your report. To include special dietary requirements (including presenters) and/or disability requirements, or presenter contact details, select these from the Additional information section. Schedule the event registrants report to be sent automatically to each event's presenter before the event starts. Attendance Register to be given to your presenters or support staff to mark the attendance and any notes during the event and to inform the presenters of any special details.